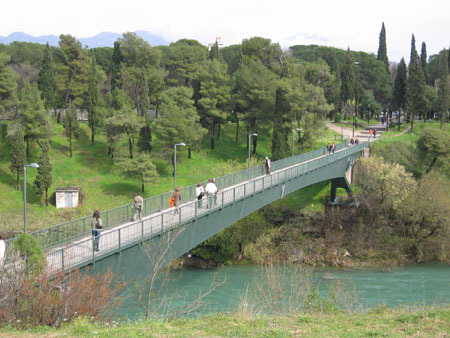 At the end of March, just before our trip to Croatia and Bosnia Hercegovina, I had to go to Podgorica for business. Montenegro became an independant state in 2006 so I can now add it to my list of countries visited. It is funny, when we were working in South Korea I was planning to go to Serbia Montenegro but even before we arrived they separated. In Serbia many people told me that the nature in Montenegro is beautiful, the cost perfect but that there is not much to see in Podgorica. 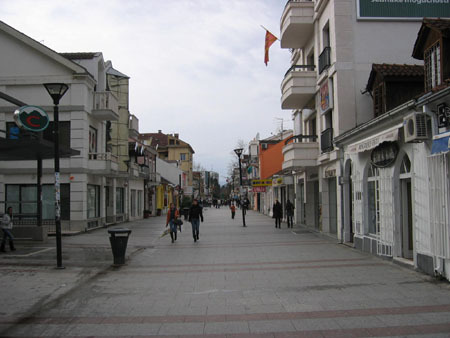 Compared to Belgrade that might be true but small cities can also be charming. 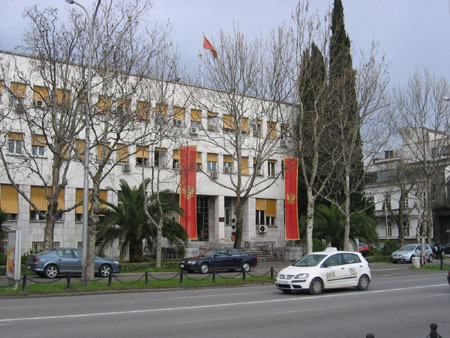 Unfortunately it was raining when I visited Podgorica so I could not capture it under perfect conditions. 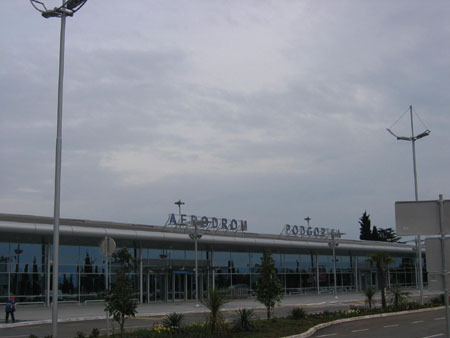 I took an early morning flight from Belgrade and it just takes around 40 minutes to arrive at Podgorica International airport. Quite a small airport but very decent and new. Immediately you notice the mountains, in March still covered with snow. 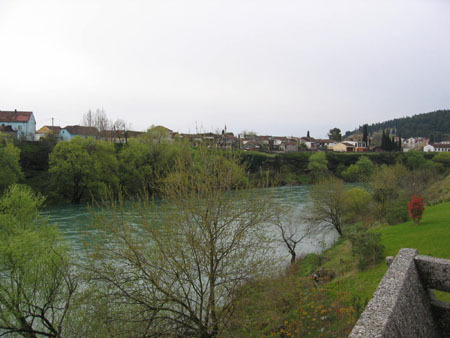 Podgorica is located close to lake Skadarsko. 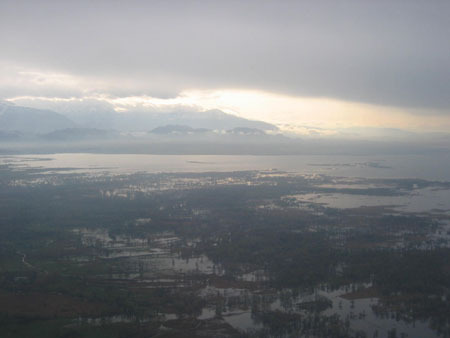 The mountains and the lake, very good visible when approaching the airport, are making up for what Podgorica is missing as a town. It is not really dynamic and too be honest when I walked around I thought it was even a bit boring. It's not bad, there is just not much too see. The Serbs were right, go there for the nature. 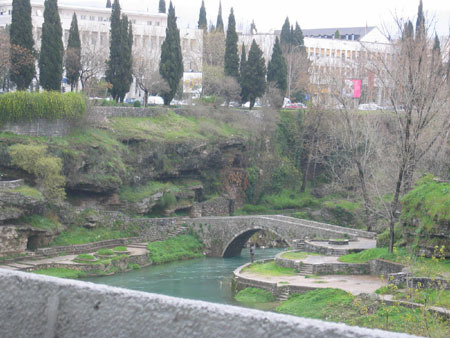 The river running through the city is called Moraca and over the centuries it cutted a miniature canyon through Podgorica. Strange enough the water is very blue, almost artificial. Another funny thing, a bridge which reminded me of the 'Erasmus' bridge in Rotterdam. Same shape only smaller.